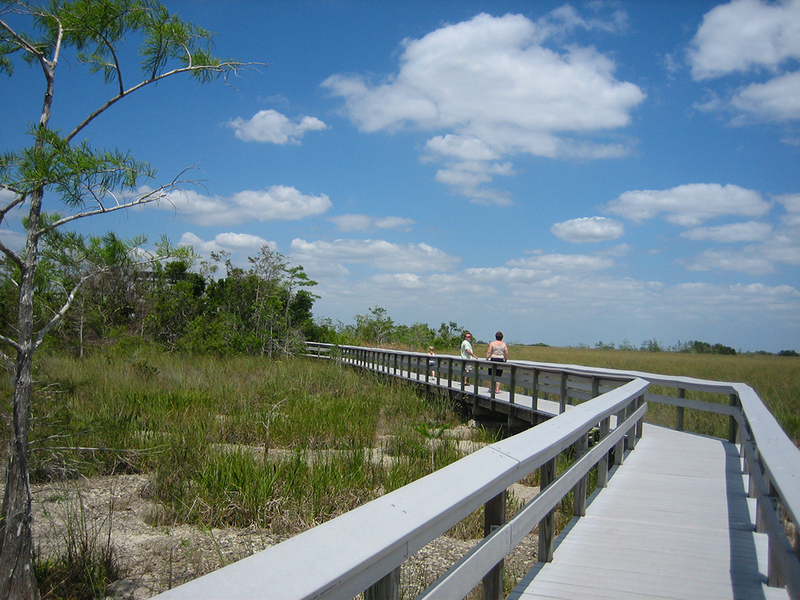 Paralleling the former Homestead Canal, an attempt by early developers to drain the coastal prairies around Cape Sable, the Bear Lake Trail takes you on a journey down an old road built of limestone fill scooped from the canal diggings. 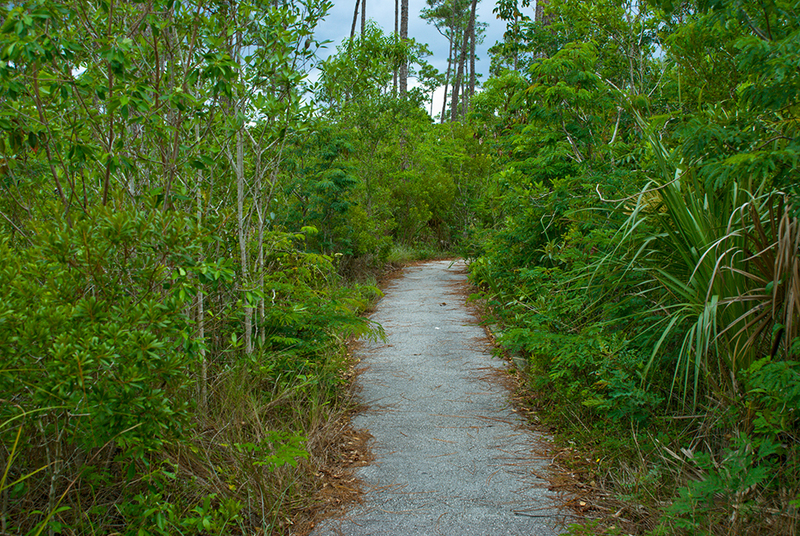 Starting at the trailhead, the trail leads you down a corridor surrounded by tropical forest, the mangrove-lined canal (now called the Bear Lake Canal, and popular with canoeists) your constant companion. At the end of the hike lies Bear Lake, a brackish body of water that makes for a scenic destination. From the Flamingo Visitor Center, follow Main Park Road north for 0.5 mile to Bear Lake Road. Turn left to follow Bear Lake Road, an unpaved road that frequently is closed after heavy rains, for 1.7 miles as it parallels the Buttonwood Canal. The road ends at the trailhead parking area with a canoe symbol sign. The Bear Lake Trail begins just beyond the “No Parking Beyond This Sign” sign. Once a dark corridor under a dense canopy of tropical trees, it has had its shade peeled away by the rapacious winds of Hurricanes Katrina and Wilma. Though battered, gumbo-limbo still stand as guardians along the path. Canoeists must portage the first 0.1-mile to a put-in at a small dock. Round the gate to continue down the trail, where bicycles are permitted. In 1922, eager developers attempted to connect Homestead and Cape Sable via this unfinished highway. In their draining and digging of ditches, they severely changed the surrounding ecosystem. 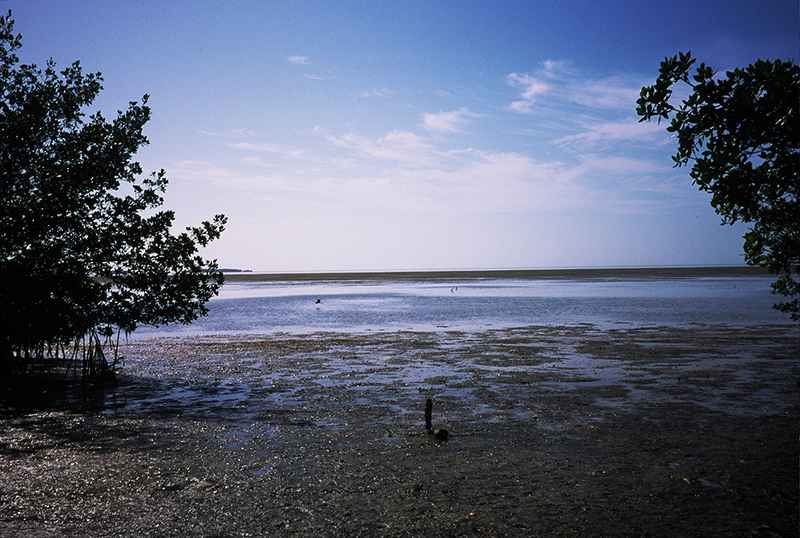 Where once this area was a dense tropical forest as you see on the left, the intrusion of salt water from Florida Bay into the canal system encouraged mangroves to flourish, as you see on the right. Between the two habitats, the canal water shimmers the color of latte. Look up and around you. 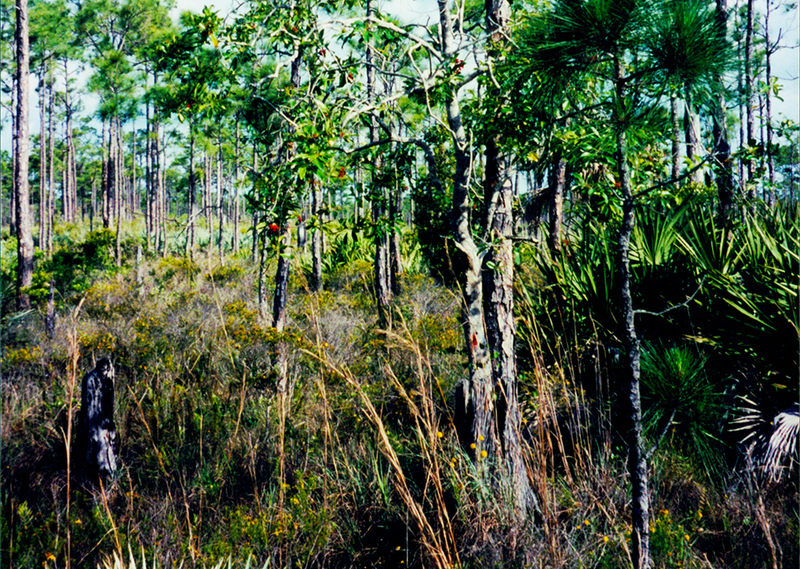 Cardinal wild pine, a showy bromeliad, dangles overhead from trees arching over the trail. Spindly semaphore cactus climbs up tree trunks. A tiny thrinax palm, more commonly found in the Keys, grows along the edge of the trail. 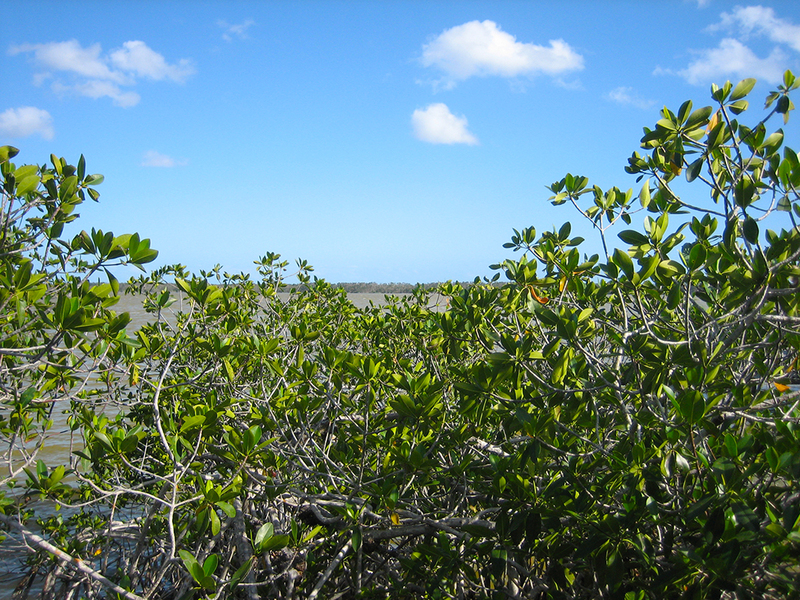 By 0.6 mile, the mangrove forest crowds in on both sides. On the far side of the canal, you begin to see coastal prairie with clumps of buttonwood. Rocks and roots protrude from the footpath before it drops down and veers to the left near a spoil bank created by the digging of the canal. After a mile, the canal broadens, its surface alive with water bugs. Veering right to parallel the canal again, the trail becomes a narrow track crowded by vegetation, edging ever closer to the water. The canal broadens, splitting into multiple channels through a dangling curtain of mangrove roots. Keep going west, and Bear Lake becomes visible through the trees to your left at 1.6 miles. 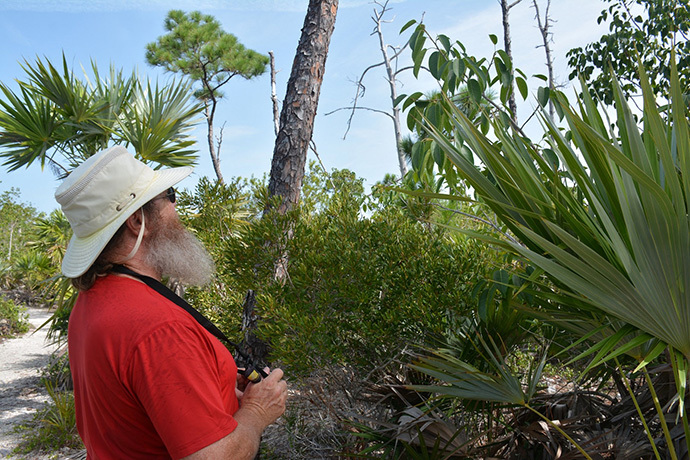 You cross a gator slide, and the trail comes to an end on the shores of Bear Lake, where the Calusa once camped and harvested the marine riches of the lake, leaving behind a shell mound in the vicinity. 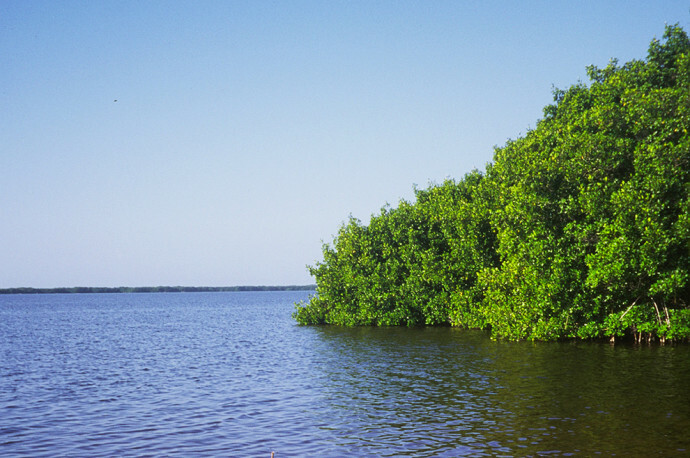 If the mosquitoes permit, pull up a log and enjoy the view from the little marl beach, watching herons and egrets perch in the mangroves and alligators drift slowly across the tannic waters. As you turn around to retrace your steps back along this linear trail, keep alert on the right for a lignum vitae tree on the right. 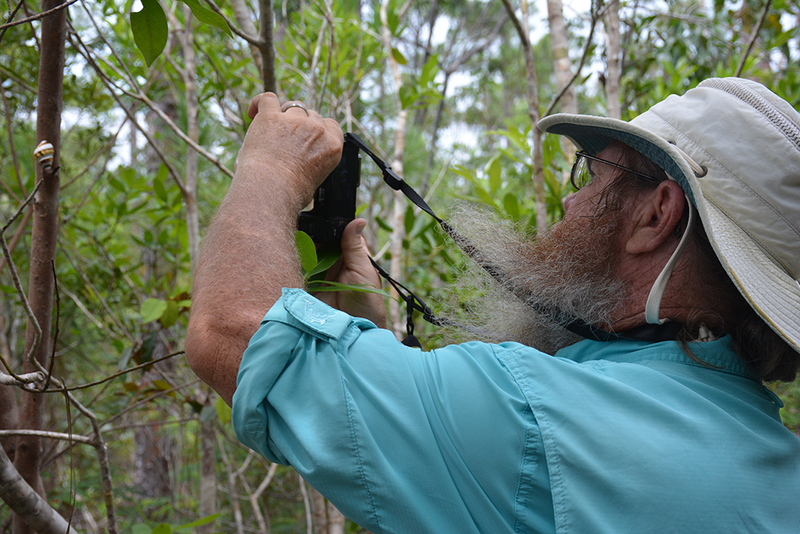 Found primarily in the Keys and Caribbean, it’s the “tree of life,” with dense wood, purported healing properties, and an unusual and distinct growth habit—its limbs cross back over each other as they grow.